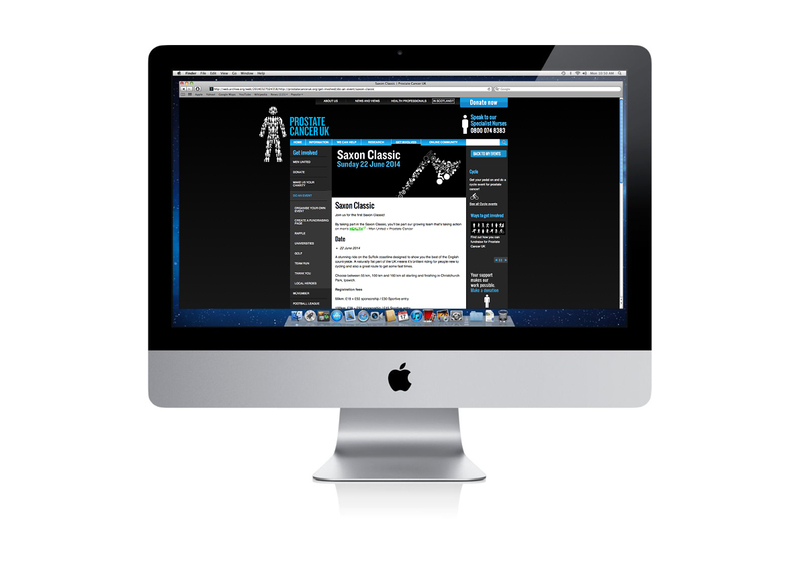 A selection of the design work I have done over the last few years. 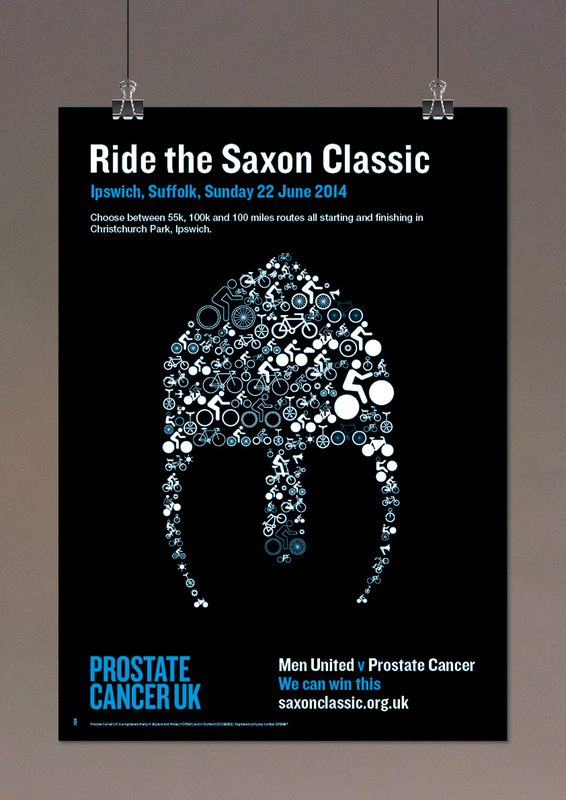 Saxon Classic is part of Prostate Cancer UK’s Classics series. It’s a bike ride on the Suffolk coastline designed to show the best of the English countryside. There are different routes and is suitable for both beginners and seasoned cyclists. 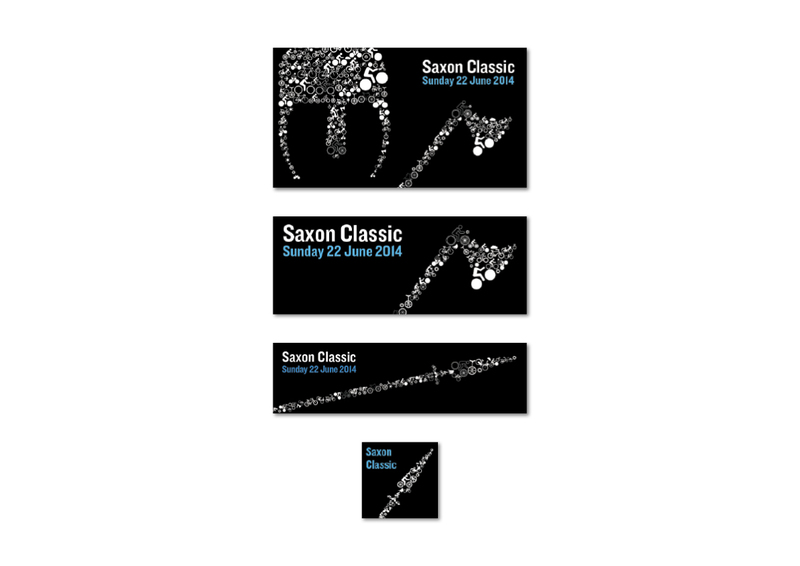 2014 was the year Saxon Classic was launched and I worked on different concepts to tie in with the Saxon theme. 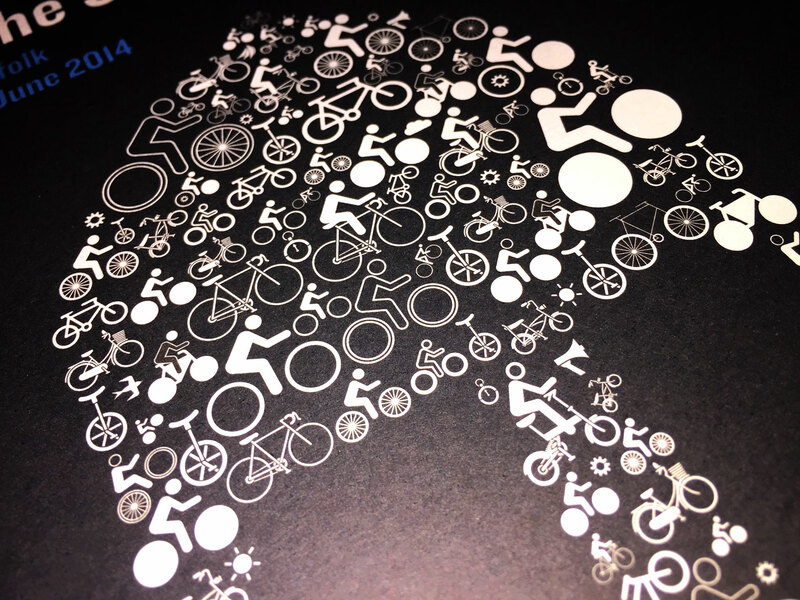 The chosen concept was to use different Saxon items such as a helmet, axe and spear made out of cycling men and bikes. This also ties in well with the design for the other Classics ride which is the Jurassic Classic.